News: 2019 Dog Licenses Are Here! 2019 Dog Licenses Are Here! Dog licenses for 2019 are here! Do yourself a favor and get it early so you don't have to worry about the late fee come June. 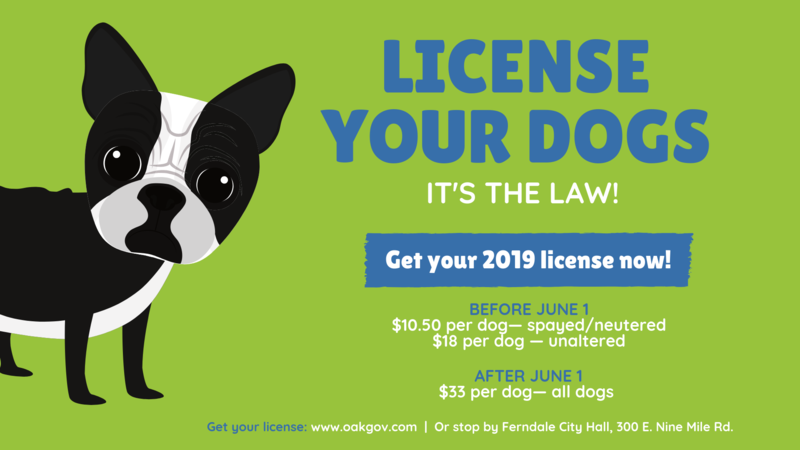 Licenses available at City Hall during regular business hours or online through Oakland County Animal Control.